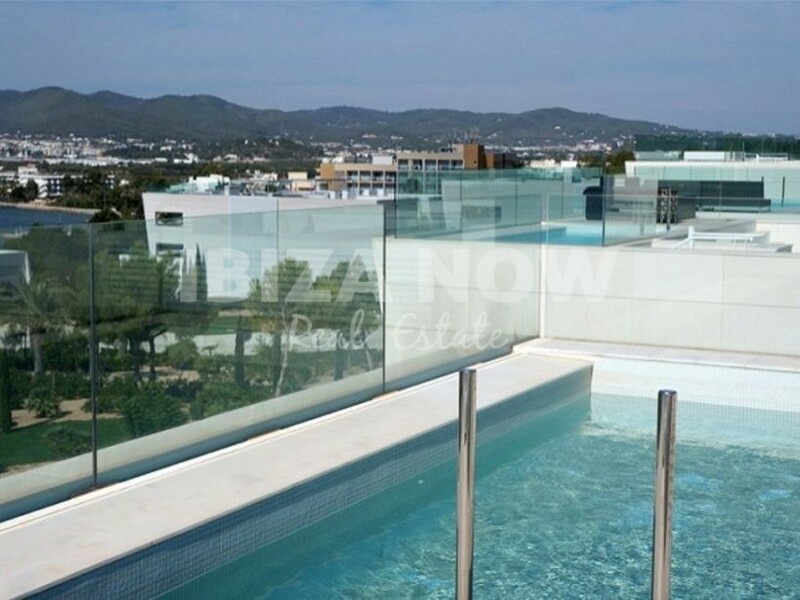 Penthouse for sale in Es Pouet, Ibiza. 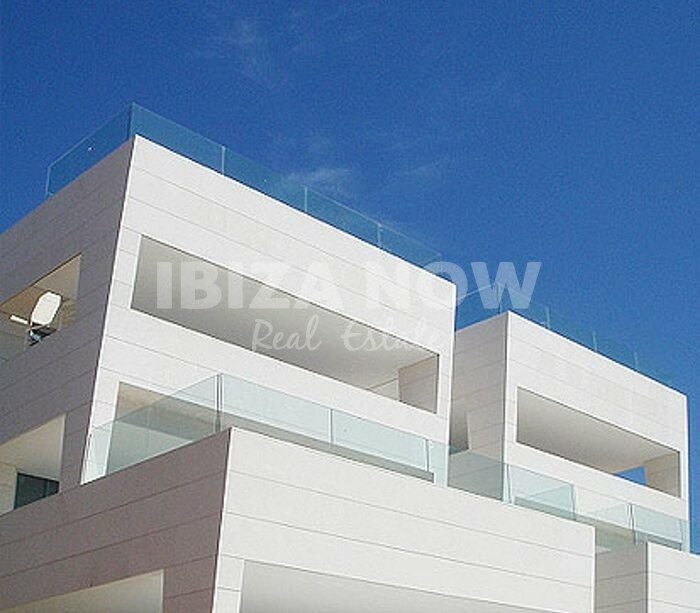 This modern penthouse for sale is located in the private urbanization of Es Pouet. With 3 good size bedrooms, all with ensuite bathrooms, a guest bathroom, open kitchen area, laundry room, another bedroom and bathroom for a staff member. 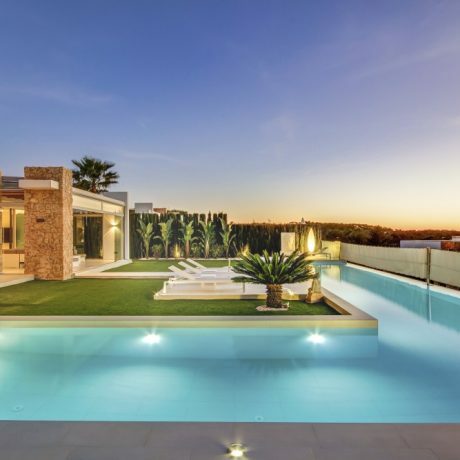 Also, there is a large living and dining area with direct access to the covered terrace. 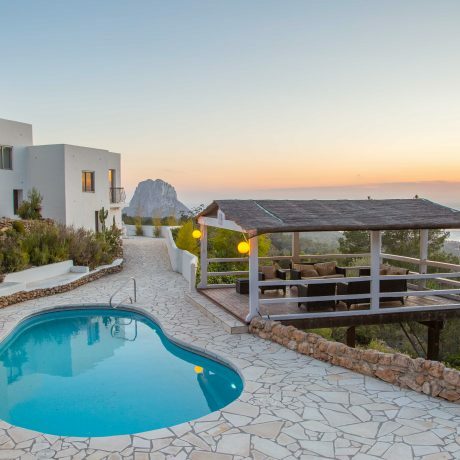 This penthouse has everything you need for a perfect holiday home. 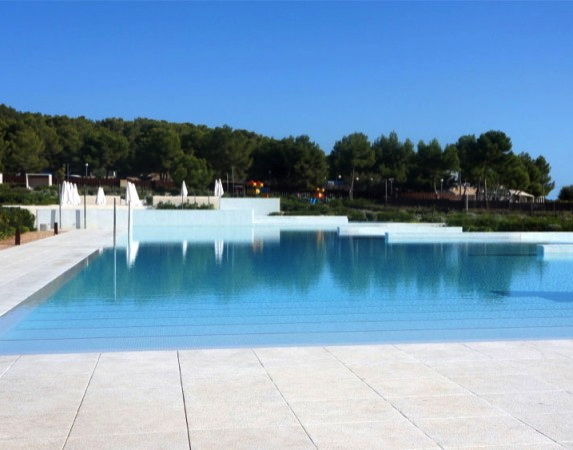 From the terrace, you have a staircase leading up to the large roof terrace where we find the swimming pool. 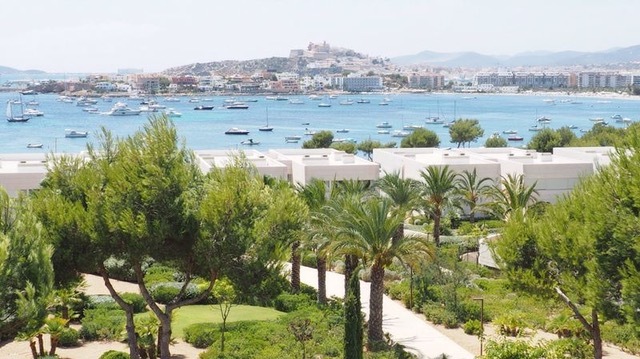 A lovely bright and well-decorated penthouse in one of Ibiza´s most desirable areas. 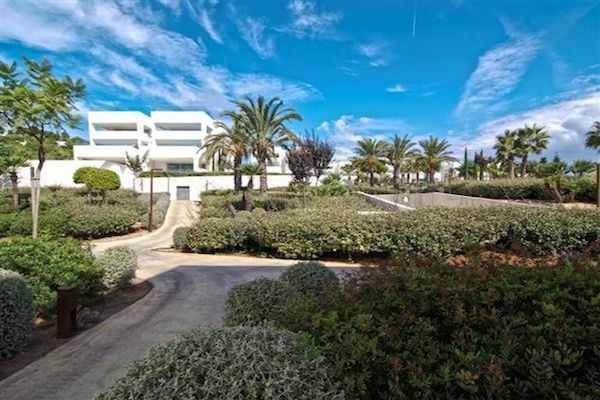 The large Tropical gardens and huge communal swimming pool are located right in front of the sea. Furthermore, there is a large kids pool and play area for the kids. A very child-friendly urbanization. Sold with 2 parking spaces and a storage. Contact us for more information.